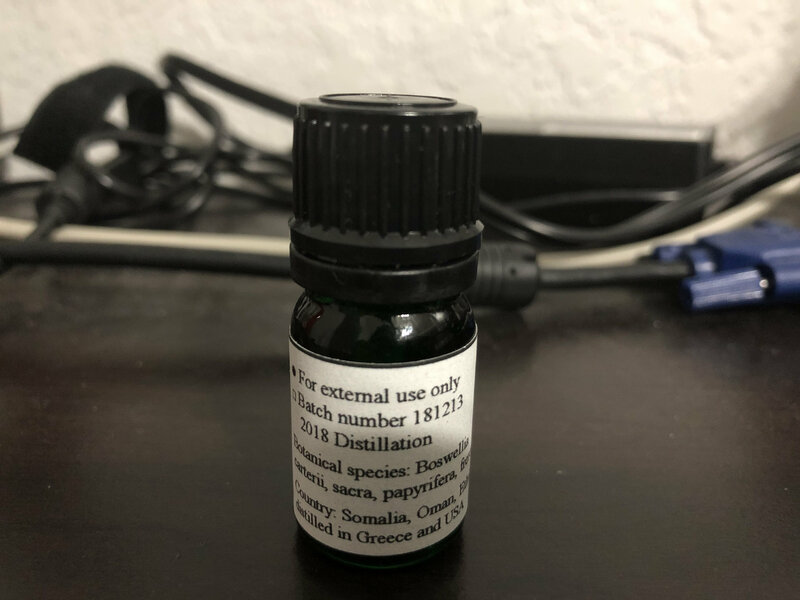 Description as shown by the picture of the label of the product. 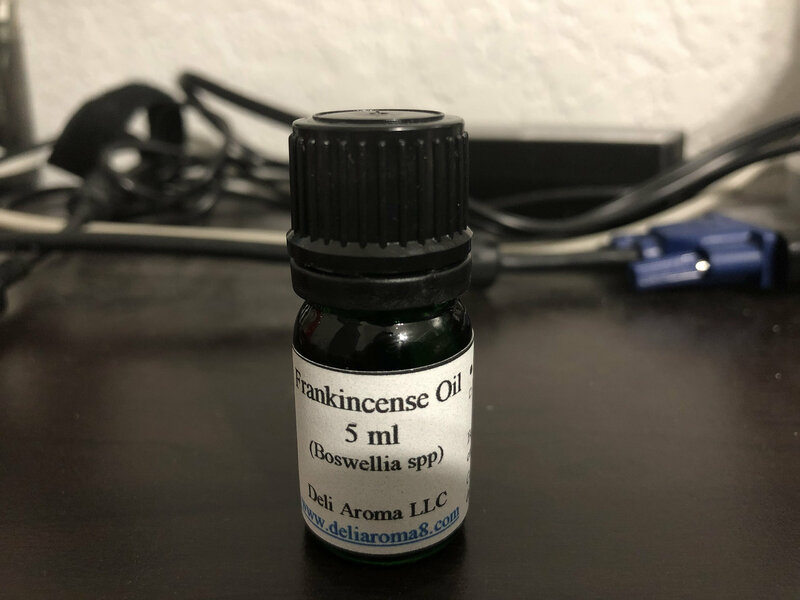 Frankincense essential oil is good for diffusing with this pure, sweet and soft aroma and it is beneficial to the respiratory system. For topical application, please dilute before use.